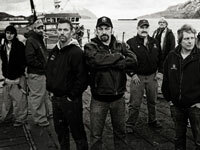 IT’S OFFICIAL – Deadliest Catch Returns April 10! New blood, old wounds and rivalries that never die. For some it’s a season of change; for others, a chance to make a name for themselves, but some things remain constant: the perilous, icy waters of the Bering Sea and most dangerous job in the world. 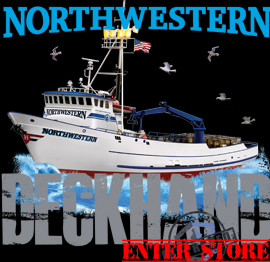 But this season, the DEADLIEST CATCH Fleet faces a brutal business downturn and what may be the harshest winter ever. This season the crews have their fishing quota slashed by almost half bringing home a cold economic reality – how will they make enough money to support their families and literally keep their businesses afloat? With the change in quota, the captains are faced with choices in strategy and tactics – who will go for the more elusive blue crab? Which boat will risk changing pots and gear in order to reap higher profits? And later in the season fishing opilio or “snow crab” the fleet faces some of the harshest conditions any of them have ever experienced in more than a quarter century of fishing.